figma Tsukasa Hiiragi: Winter Uniform ver. The younger, calmer of the twin sisters, figma Tsukasa! 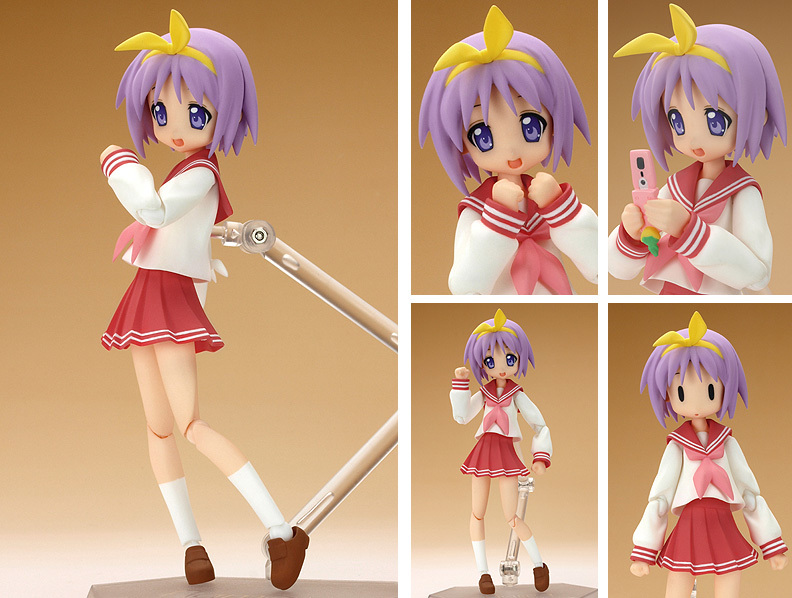 From the anime "Lucky Star" comes a figma of the relaxed, kind Tsukasa Hiiragi, in her winter uniform! - The new joint parts allow for smooth yet poseable movements, allowing you to pose many different scenes. - Included is the mobile phone she got for getting good grades.